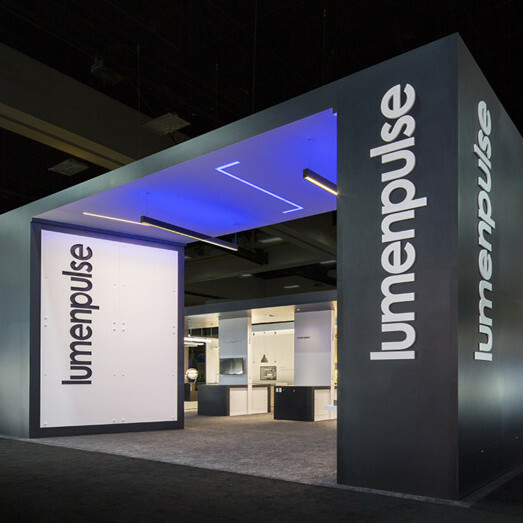 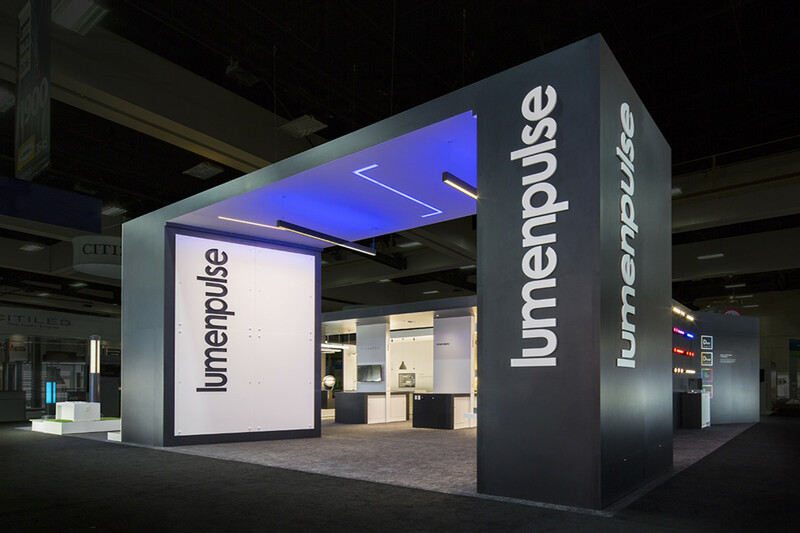 Lumenpulse’s high performance lighting applications and fixtures are fully integrated into the design and engineering of this space. 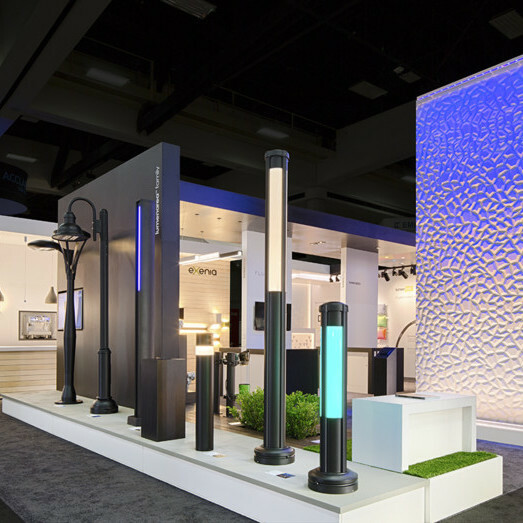 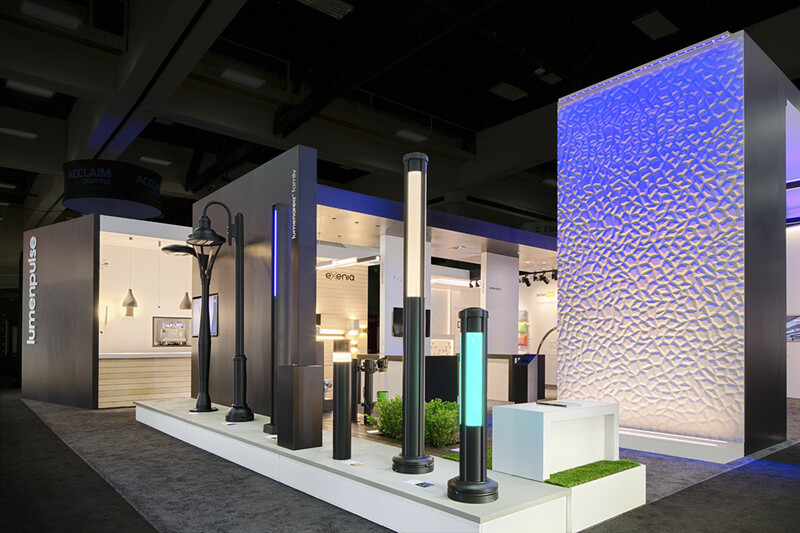 Product accessibility and streamlined wire management were paramount in creating a smart design that supported the team’s show site needs. 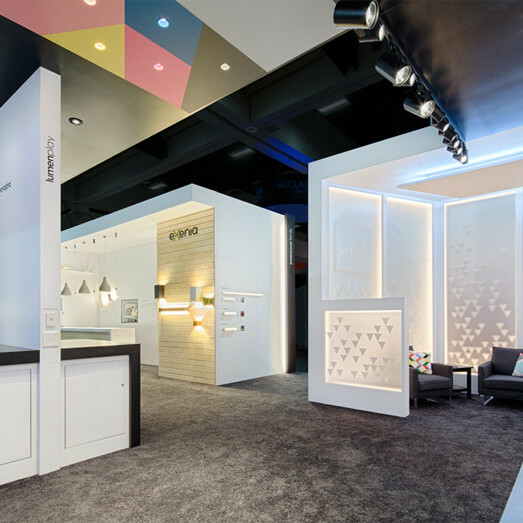 Entire product systems are embedded into the structure, while still allowing back-end access for on-site adjustments. 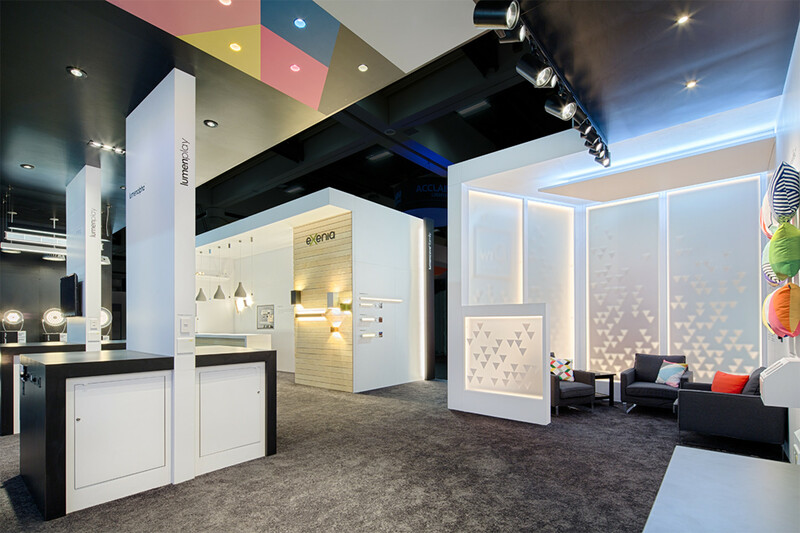 This modular design not only meets the electrical demands of the products, but also creates multiple end-use scenarios throughout the space, accurately conveying how these products work in real settings.